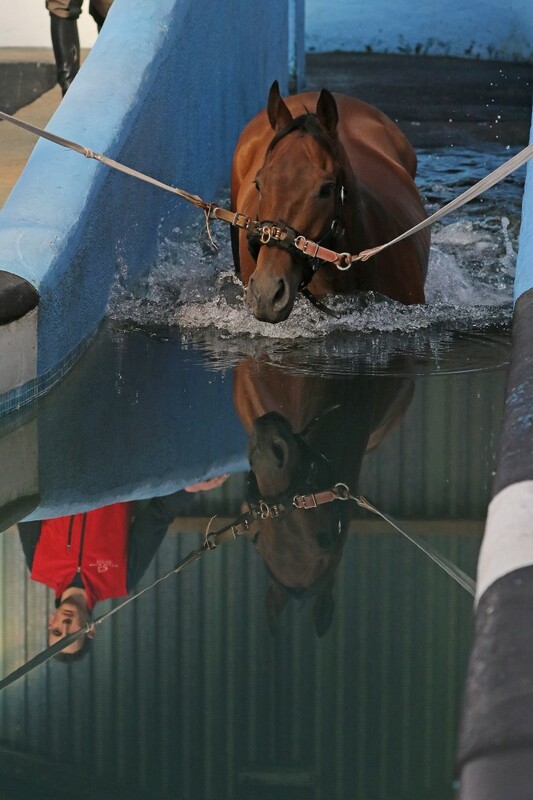 Our equine swimming pool is an essential part of our therapy equipment. With a brand new filtration system, it helps horses to rehabilitate after training or injury. Water buoyancy helps to relieve pressure on joints, bones and ligaments, so it’s no surprise that many horses find swimming an enjoyable experience. 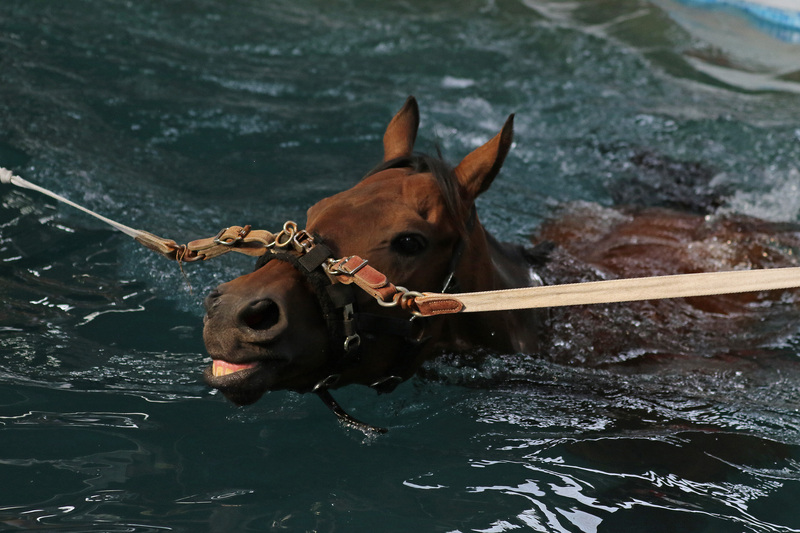 With enough resistance to ensure a thorough workout, swimming can help horses to improve their stamina and maintain cardiovascular fitness. It’s also a great way to build muscle tone and improve respiration.